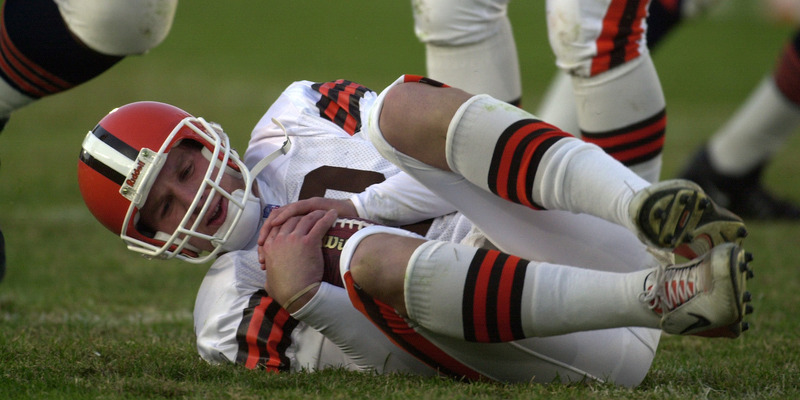 Jonathan Daniel/Getty ImagesTim Couch hitting the ground during his ill-fated tenure with the Cleveland Browns. Couch, who is preparing to be a colour analyst for the Browns, told King that he thinks the team has a good plan in place for No. 1 overall draft pick Baker Mayfield. According to the Browns, the plan is to start Tyrod Taylor while Mayfield sits and watches, at least to start the season.